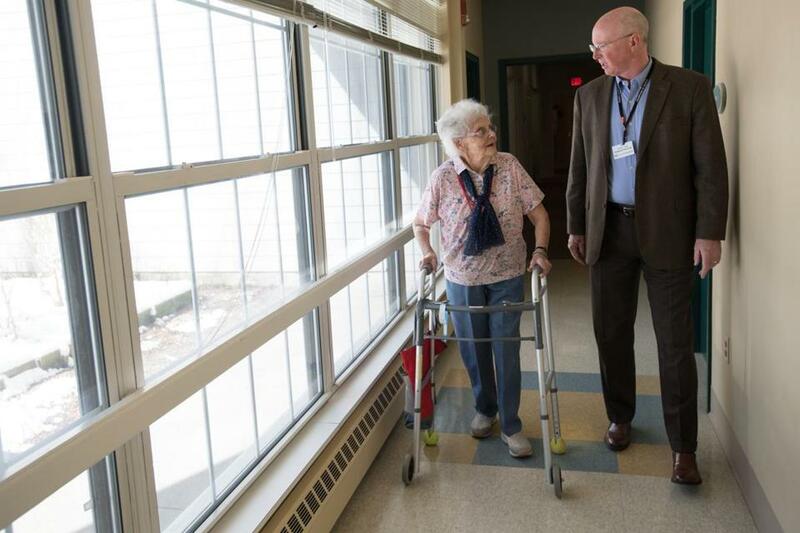 Copley at Stoughton is a private nursing home in Stoughton, one of the last in the state, according to Steven Tyer, its administrator. The 123-bed facility provides long- and short-term care and rehabilitation services, and has been in existence since 1994. Its majority owner is the Goddard Foundation, which was created with the assets of the former Goddard Memorial Hospital in Stoughton. We spoke with Tyer for this story. Q. What makes Copley at Stoughton so unique? A. It’s a standalone, one of the last locally owned and managed in the state. Most places are owned by giant corporations, but selling has never been an issue here. Goddard is solvent, and very committed to this. I came from a corporation, Wingate Healthcare, and was COO for years. Working here is harder than any job I’ve ever had; we’re doing it all on our own, and we’re very successful at it. Q. What do you mean you’re doing it alone? A. We do everything and don’t outsource anything, except for doctors and nurse practitioners; our dietary programs, nursing, housekeeping -- we do that all ourselves with people who live in our communities. Q. What sort of activities do people have at the home? A. What don’t they have? We have bingo, of course; if we didn’t, I’d have riots on my hands. They play cards, we have singing, they go shopping, out to dinner once a week, we charter a boat twice a summer for rides on the Cape Cod Canal, they go to Twin River Casino. They don’t sit around much. Q. You get a lot of business from referrals? A. About 60 percent comes from referrals from places like the chambers of commerce, businesses, churches, family, and friends. We are very community-oriented; I’m a lifelong Stoughton resident and most of our workers are from here or nearby towns. Our referrals are unique: If you called and said, “My Dad broke his hip, can you help me out?” we’d help you out. It has that kind of small-town feel where everyone knows everyone because everyone does. Q. Nursing homes are expensive: What advice do you have for people? A. Plan early. And go see a place, see how you’re treated. If they don’t treat you well, how do you think they’ll treat your mother or father? I give my cellphone number to families, and we go above and beyond with services they don’t expect.